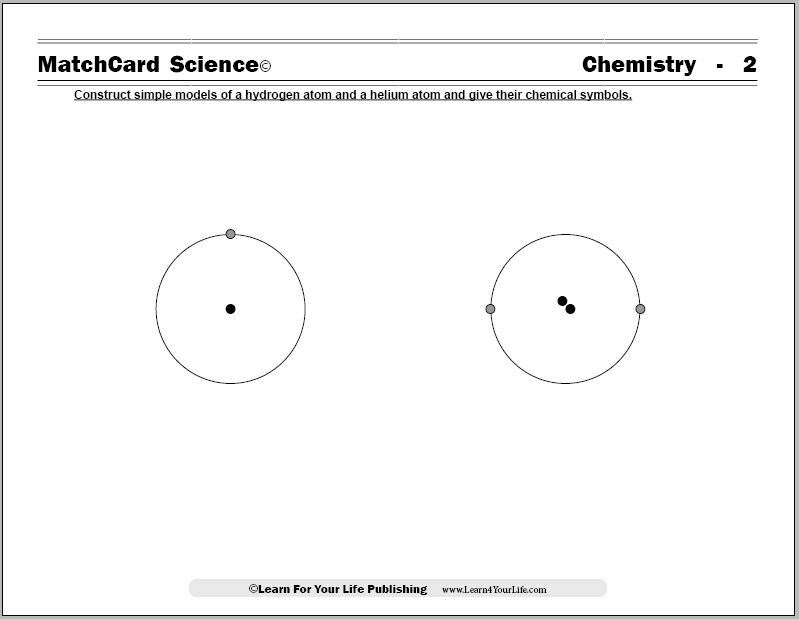 MatchCard #1: Identify the three particles in an atom and tell where they are in relation to the nucleus..
MatchCard #2: Construct a simple model of a hydrogen atom and a helium atom and give their chemical symbols..
MatchCard #3: Give the chemical symbol, atomic number and electron configuration for these elements: carbon, nitrogen, oxygen. 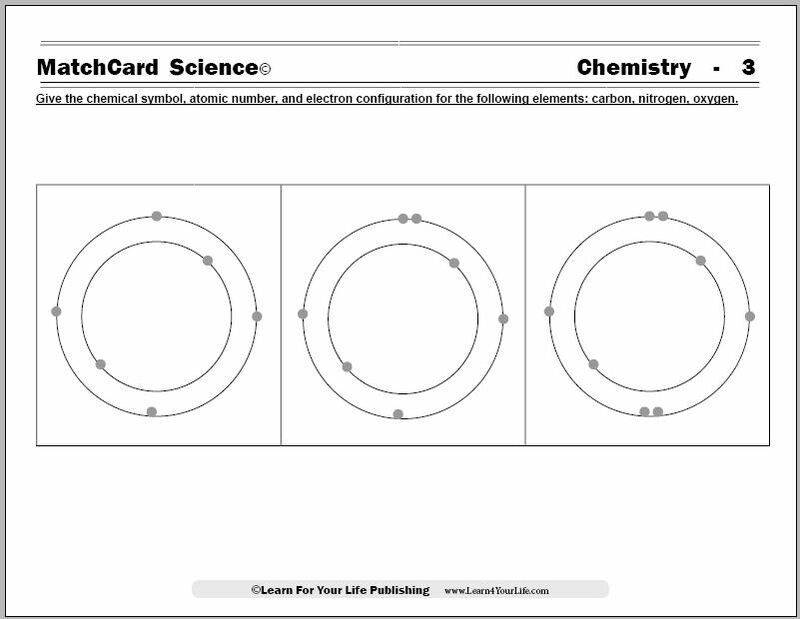 MatchCard #4: Give the chemical symbol, atomic number and electron configuration for these elements: sodium, chlorine, and aluminum. 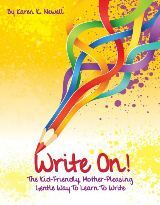 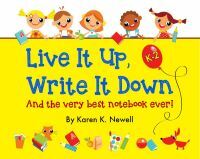 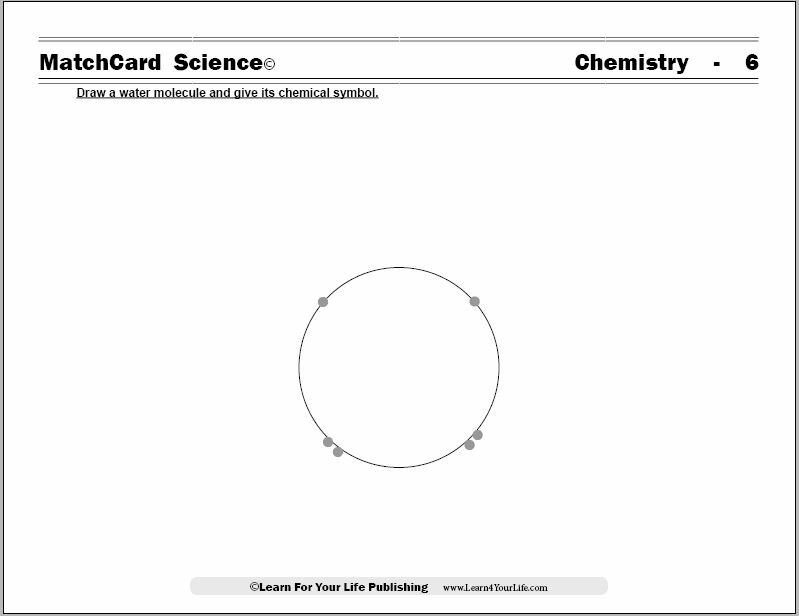 MatchCard #6: Draw a water molecule and give its chemical symbol. 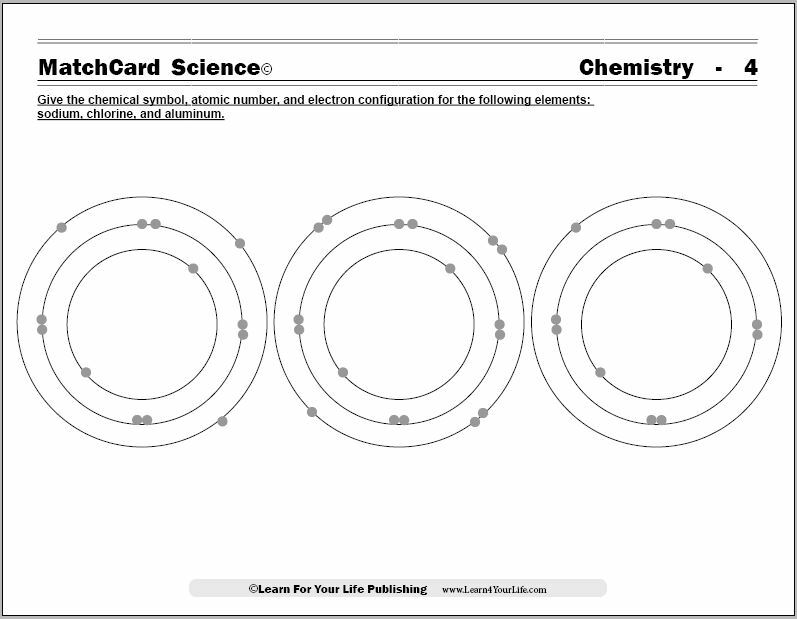 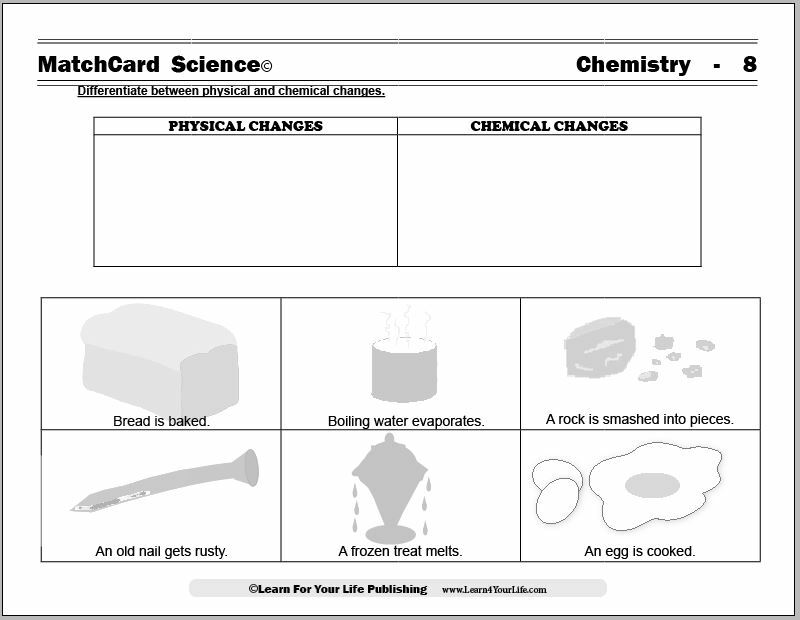 MatchCard #7: Compare elements, compounds, and mixtures..
MatchCard #8: Differentiate between physical and chemical changes. 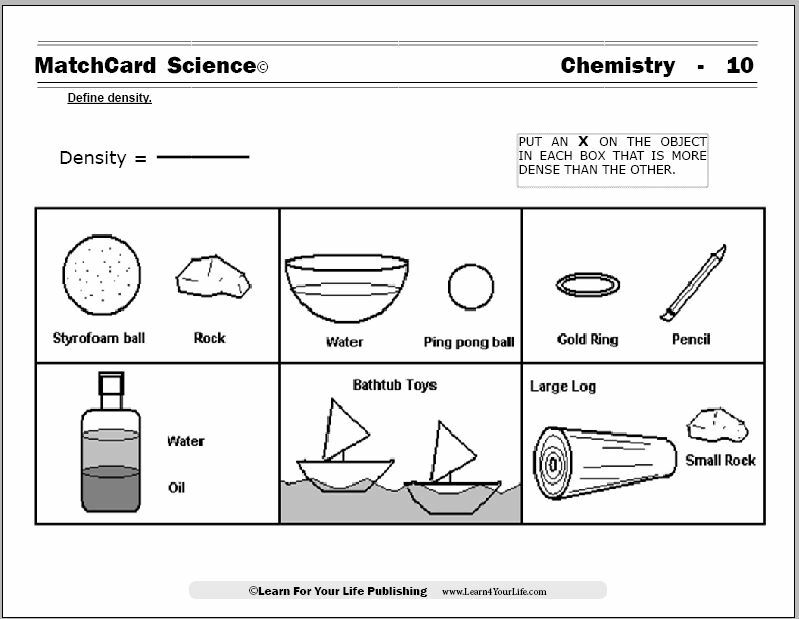 Is it a chemical or physical change? 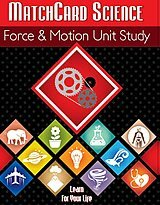 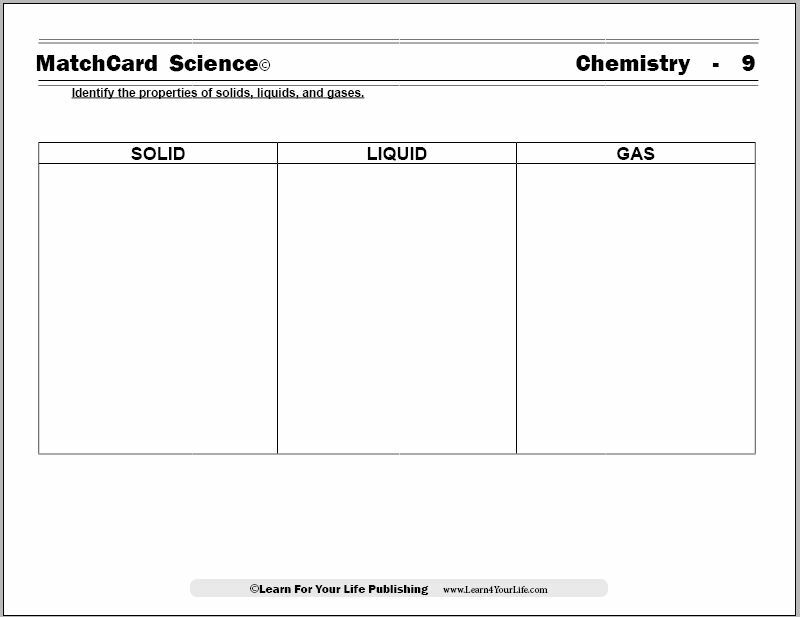 MatchCard #9: Identify the properties of solids, liquids, and gases. 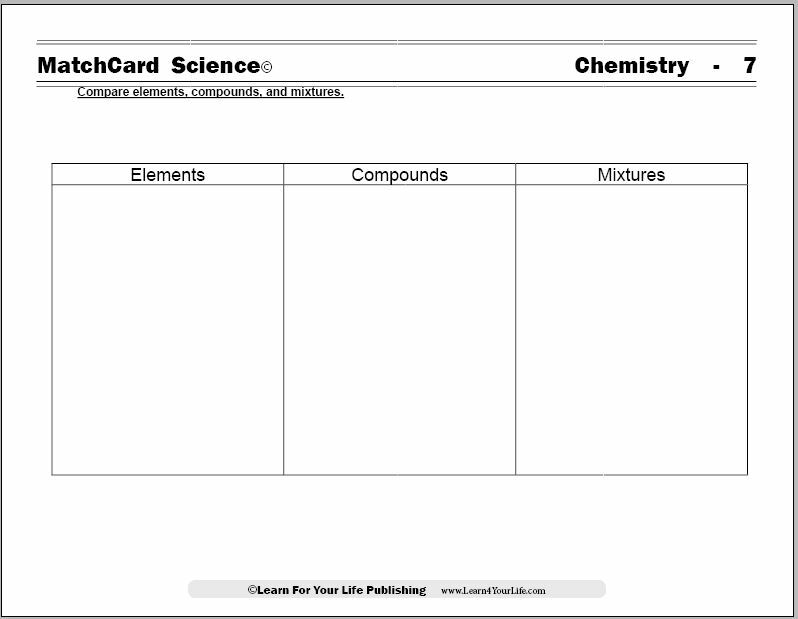 Science Fair Experiment: Does the boiling and melting point of water change if other chemicals are added to the water to make a mixture? 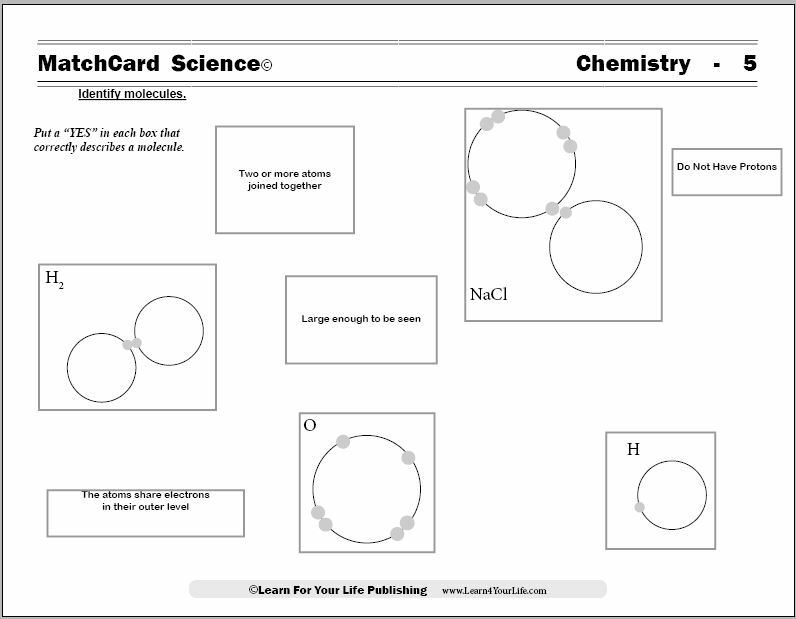 What's the Matter: Solid, Liquid, or Gas? 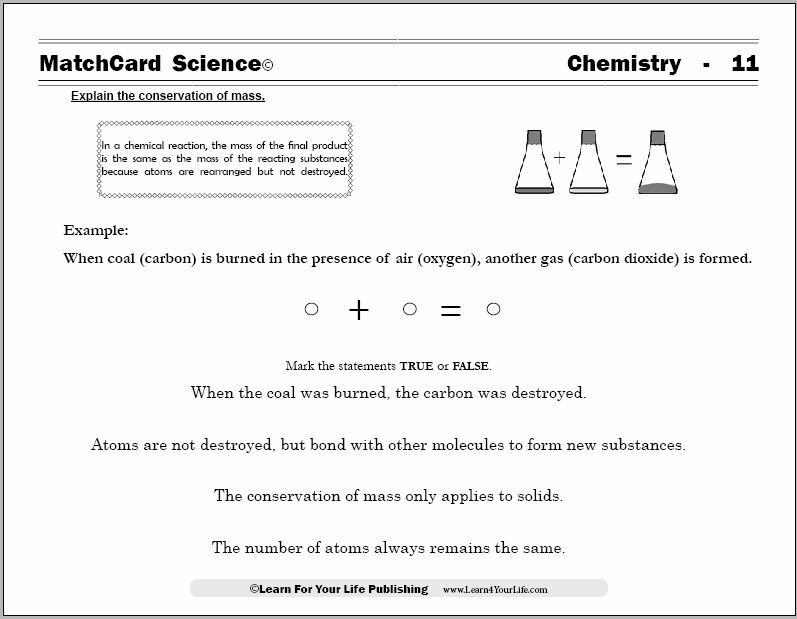 MatchCard #11: Explain the conservation of mass. Where did it go? 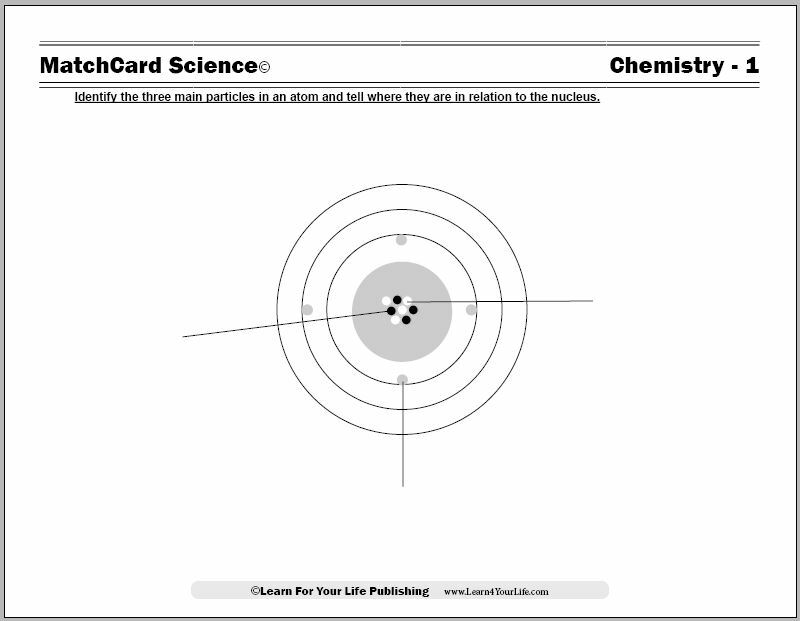 The conservation of mass. 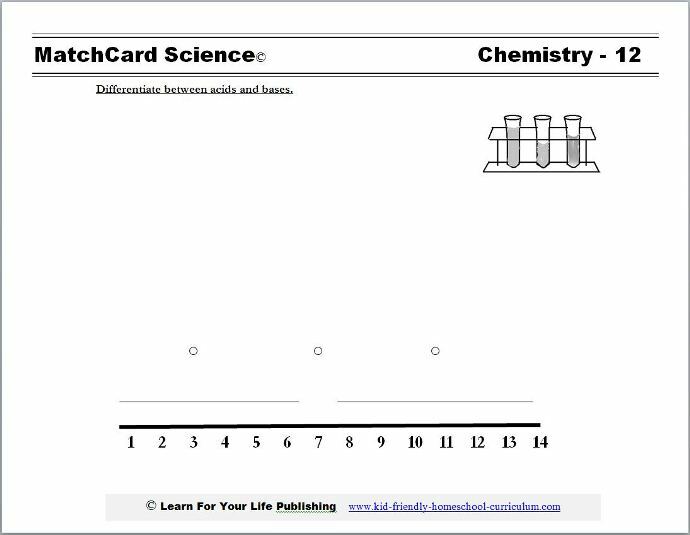 MatchCard #12: Differentiate between acids and bases. 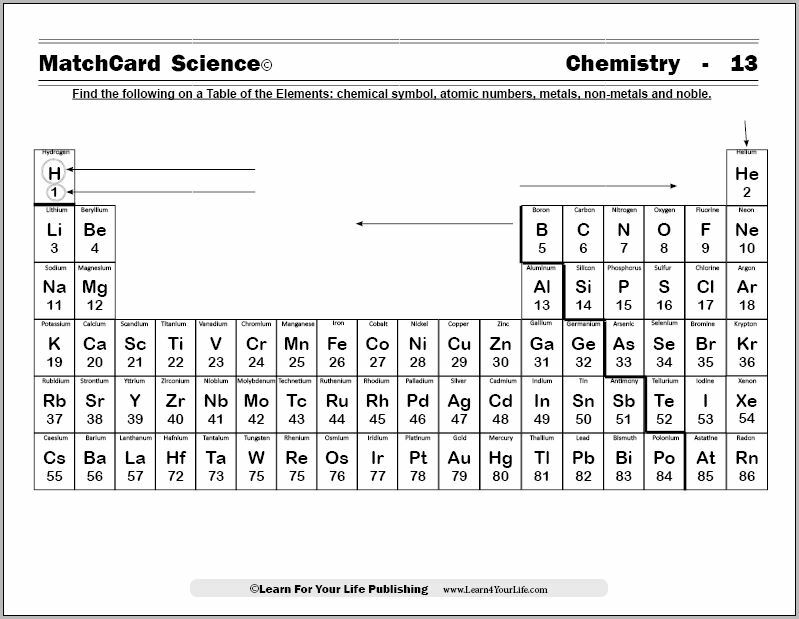 MatchCard #13: Find the folllowing on a Table of the Elements: chemical symbol, atomic numbers, metals, and non-metals.